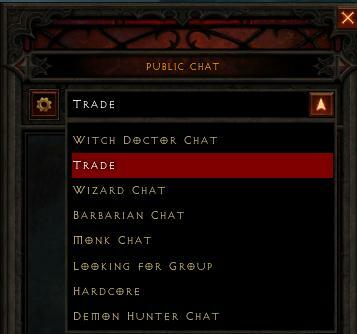 There are many ways to set up trades in Diablo 3. An in game trade is where two players join a game together and upon entering trade predetermined items and/or gold. In this way, you can avoid the pesky auction house fees on the gold auction house. One strategy I like to use is to offer a 5% discount on whatever price is currently in the auction house to the buyer. When we make the sale, both players save money. The buyer gets a 5% discount and I as the seller get 10% more than I should have (giving up 5% instead of 15% for a fee). Step 1: Click on the chat icon from the main character screen. Step 2: Select the chat channel you wish to join. Although there is a designated Trade area, you may wish to join another, more specific channel depending on what you have to sell. If your item is Barbarian specific, maybe advertising in the Barbarian chat would be wiser. Step 3: Say the right thing! Most Diablo 3 players come from mixed backgrounds and many different gaming "languages." For instance, WTB is "want to buy" in world of warcraft, but not a common phrase to Diablo 2 players. So if you use slang or abbreviation's, there is a good chance that you are missing out on appealing to the entire audience. Instead of abbreviating, write out exactly what you want to do with your trade. Trading is a real skill in this game, because there is more to it than just advertising what you want to sell. Emphasizing the deal you're giving with statements like "5% off auction house prices," you also want to explain what it is you're selling and why it's valuable to the player. If someone asks you what it is you are trying to sell, talk about the value it brings, focusing in on how it makes a certain aspect of the game easier. Cite facts that show off your ingame knowledge, like which stats are best for which classes to deal dps depending on their build. For example, if you're trying to sell +life regen and +thorns to a witchdoctor who just turned level 45, you will want to explain to any inquisitive players why that item rocks. You can state that Fierce Loyalty gains 100% of thorns and life regen to your pets, making these kinds of items ideal for any witch doctor trying out the build. You may have to sell them on the build before you can sell them the item. Basically, trade chat is a chance to have a conversation, not just set up a sale. A lot of players will do things like post an item on the auction house and then tell everyone in trade to go look at it. Don't do that! 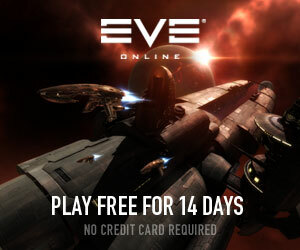 It's a waste of time, and you're losing out on the 15% seller's fee.